I addedd a total of 6 new BB pistols to the Replcia Airguns Store and all of them are under $100 Umarex BB shooters. The first one is the Umarex Colt Defender BB Pistol. 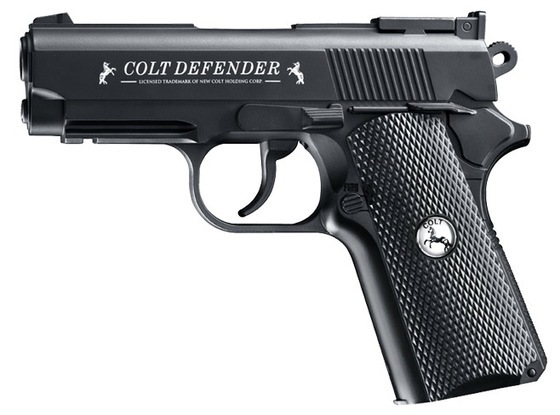 The Umarex Colt Defender is an all metal replica of a Colt Classic and just like the original it's compact and handy, this 4.5 mm model is especially easy to use with a very simple design ensuring reliable use. To reload simply press the magazine catch and the single-part grip plate pops out, revealing the 12 g CO2 capsule and built-in internal stick magazine.